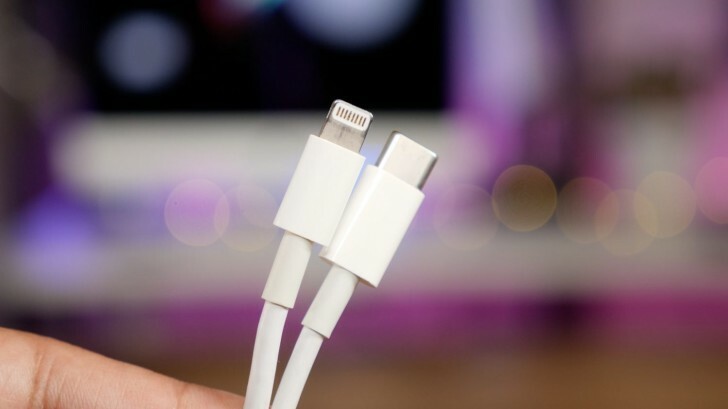 Apple has made its USB-C to Lightning cable cheaper than it used to be. It's rare for the company to cut the prices of its accessories. What's more, this move is weirdly timed just after we heard rumors saying Apple is ready to finally give up on the use of USB-A in its iPhone and iPad charging adapters this year. The 1m USB-C to Lightning cable allows for faster charging than the one included in the box if you have a compatible iPhone or iPad. Its initial price was a whopping $25. While it's still not cheap, it now costs $19. Interestingly, it's thus priced the same as the USB-A to Lightning cable (the one you get in the box of your iPhone or iPad). The 2m USB-C to Lightning cable hasn't received a price drop, oddly. It continues to go for $35. The 1m cable was $19 once before, during the so called #donglegate, when Apple cut the prices of all USB-C accessories. That was a limited time thing, though. Recent rumors have claimed that this year's iDevices would ship with a new 18W USB-C power adapter, that could be smaller than Apple's 29W adapter that you get with the 12-inch MacBook. Note that USB-C will only be used at the adapter end of the cable, iPhones and iPads are still expected to have the Lightning port. We've phased out the cassette, CD, floppy, and many other things. Technology moves forward to better things and we have to move with it. I don't think phasing out other ports is considered moving forward... At all. Yeah, no. Never. You can't expect a laptop with nothing at all be useful. It'll be a fancy doorstop with a screen.